Make the process of learning fun for all ages! 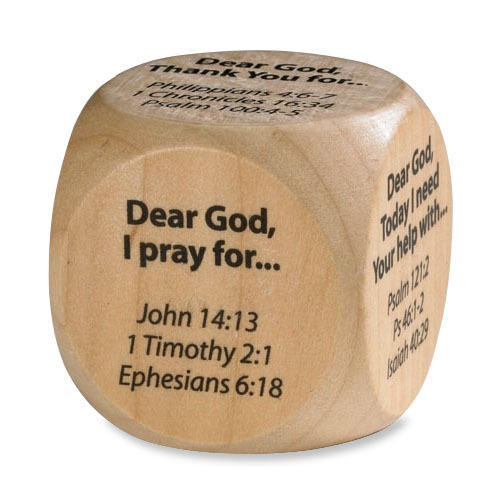 Prayer cubes are great for encouraging children to pray. Roll the cube to determine which prayer will be prayed or recited during lessons. Great gift idea for teachers, students and families!